Today started out as a beautiful bright day. Excellent viewing day, and a good day to have off. I did enjoy it. 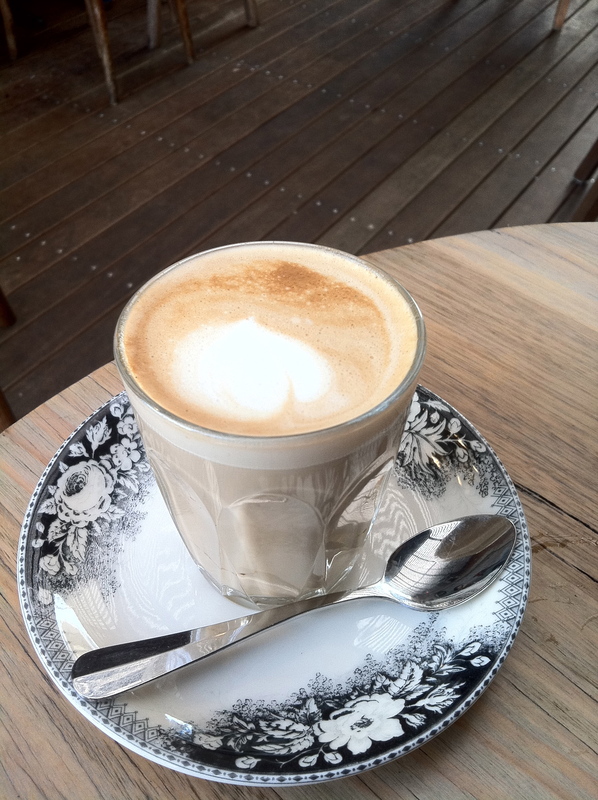 I decided to go to Pope Joan Cafe, wasn’t sure what to expect, being a one bean, however , it did promise to be good. It had the Great Food symbol in the book. yummy, I thought to myself. Pope Joan cafe is located on Nicholson st, rather busy I must say. Car’s pretty much non stop. I found a parking a little far away, and as I was walking up, I saw that they have a parking spot across the road, clearly marked : Pope Joan Parking, and inevitably I must be going blind. It was a quaint place, nice and homely, friendly staff, vegetable garden out back too. Lots of time whilst waiting for my food, I have commented things like “They must be waiting for the grass to grow” Well, here it would be true !! Not to be demeaning, however it did seem like a “hippy place”. The Carbon tax would feel right at home here. Today I tried something different, Scrambled eggs with a side of beans. No mushrooms. When the breakfast came out, wow, I could smell the aroma of the beans. Fantastic, Seriously smelt good. And the scrambled looked great too. Yum. The combination worked well. I am not sure why. 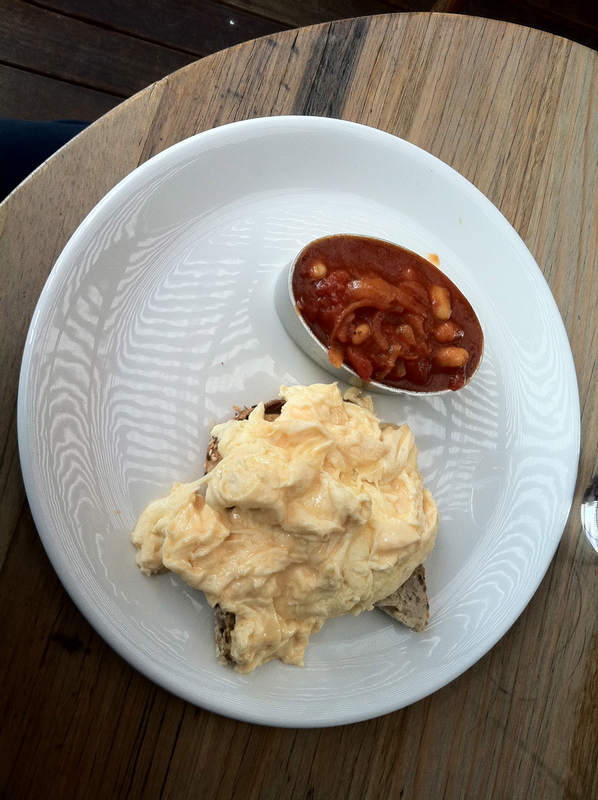 The scrambled were a great consistency, with the beans really made well. They were home-made with some spices. It reminded me of an Indian Tomato Chutney, and I like my chutney. The overall taste was great. All the flavors worked well together. Seriously worth a try. It had a nice aroma, with a hint of nuts, good flavor, right drinking temperature. There was no bitter aftertaste and overall a good coffee. A little bright on the tongue, which was good.